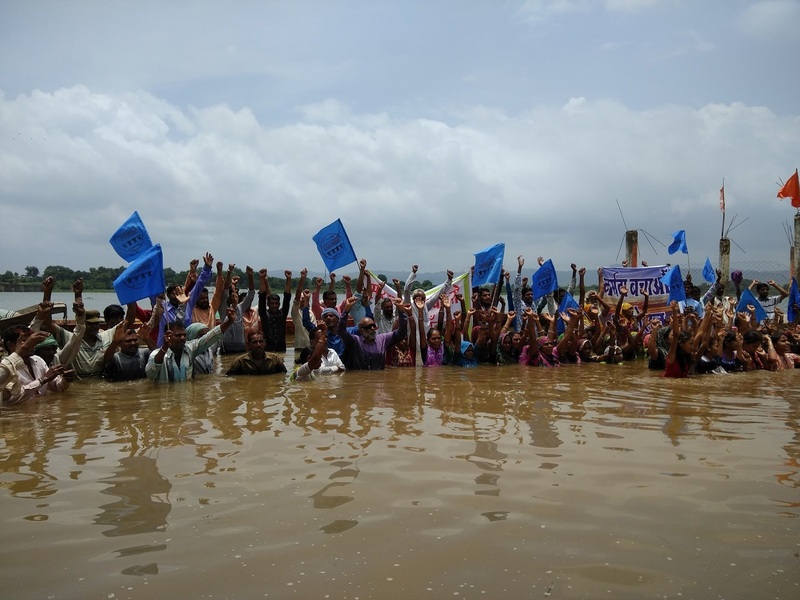 World renowned veteran American linguist, social critic and political activist Noam Chomsky has extended his support to the project affected people of the Narmada valley when the indefinite fast and dharna of hundreds of people are underway in Narmada valley. “I, on behalf of the people of Narmada valley, now appeal to you for immediate attention and intervention to save the people threatened by submergence”, he adds. The petition by IIM-K environmentalist Jayanta Bandopadhyay, already signed by hundreds of other people from different walks of life, demands “justice” from Prime Minister Narendra Modi for the project affected families (PAFs). The petition has gathered signatures from 29 countries. 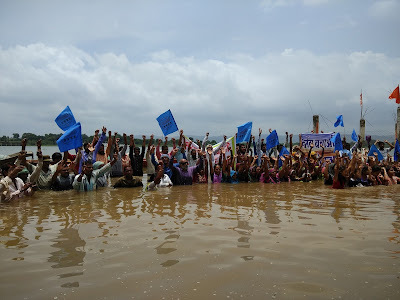 The support from Chomsky comes even as the indefinite fast of Medha Patkar and other PAFs in the submergence village Chikkalda, on the banks of river Narmada, in Madhya Pradesh, enters the fourth day. People are on fast against “forced displacement”, demanding “just rehabilitation” and putting a stop to intimidation of armed police camping in the submergence zone. The petition demands a comprehensive re-survey of PAFs, giving priority to rehabilitation first by following orders of the Supreme Court, so that no family is evicted without rehabilitation. It also demands directions to the Madhya Pradesh government and authorities to provide benefits to farmers as per the Supreme Court orders to ensure alternative livelihoods and to constitute a committee to assess the impact on environment, river and forests by submergence and also the impact in downstream flow of the river. Apart from addressing Modi, the petition, once signed by 1,000 people, would be sent to the Madhya Pradesh chief minister and the Union water resources minister Uma Bharti. “Closing of the gates is de facto a method of forcible eviction and thus, not only a barbaric act but also a disrespect of the court order. More than 40000 families, with their residential houses, livestock, hospitals, schools, shops and all other civic amenities, are still living in these villages. The resettlement and rehabilitation sites are not even close to completion”, it says.